A career as a roofing contractor is inherently hazardous. It’s an occupation that involves working at height on a daily basis, and on some projects, that can mean several storeys high. It is, however, a less risky job now than it has been historically because of the level of health and safety best practice and due diligence applied by both individual roofers and their employers. Indeed, the latest HSE figures for RIDDOR reported fatalities in the roofing sector due to a fall from height indicate that three roofing contractors fell to their death in 2013-14. While this is still three too many, it continues a downward trend in terms of both fatalities and RIDDOR reportable roofing falls over a number of years. 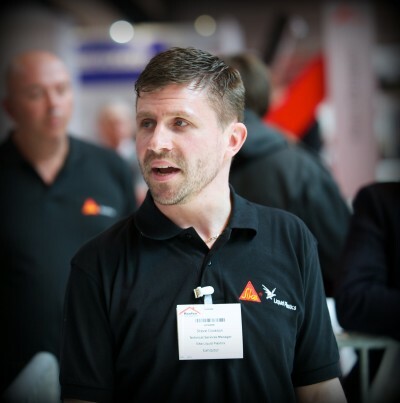 Unfortunately, health and safety still continues to be a significant issue within the roofing sector. While working at height is the most obvious hazard, it is far from the only danger that a contractor faces on site. The use of hot works continues to be a potential source of danger for roofers despite being an avoidable hazard. A variety of alternative roofing systems are now available that do not require any hot works to achieve durable, robust and reliable waterproofing protection, significantly reducing the risks to the site team, the building and, potentially, its occupants. Hot works are a widely recognised health and safety hazard across many sectors and can include a number of activities, such as brazing, grinding and soldering. While best practice health and safety precautions can help to protect those on site, hot works inherently involve fire risk, even in the most capable and safety-conscious hands. Indeed, use of hot works to install traditional bitumen-based systems is one of the biggest health and safety risks associated with roofing schemes, in particular those that use a blow torch for application. In the USA, investigations into hot works-related accidents has led to a hot works standard, which defines practices that should be adhered to when carrying out any activities involving hot works. Amongst the key areas covered by the standard are the need for thorough training and supervision by experienced personnel on site. Operatives are also advised to test the area and check for the presence of flammable substances, eliminating any potential additional hazards and monitoring the area continuously throughout the hot works period. Tellingly, however, one of the key stipulations of the US standard is that hot works should be avoided wherever possible by considering the use of other methods. 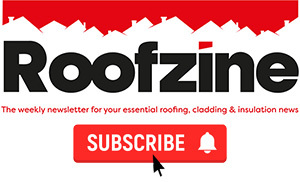 In the roofing sector, where there is a wide choice of both liquid and single ply systems that require no hot works while offering an effective waterproofing membrane, this is, surely, very sound advice. 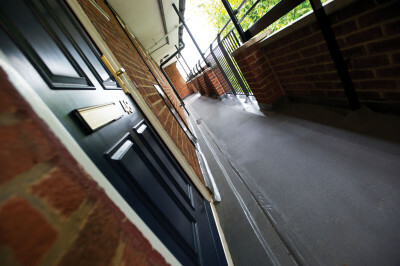 The UK’s flat-roofed building stock is characterised by bituminous systems. For many refurbishment project specifiers, the default setting is to select a ‘like-for-like’ roof covering, with patch repairs and / or an overlay of a system requiring hot works. While this is often a cost effective approach in cap-ex terms, it can be a false saving in terms of service life, maintenance costs and risk. Using an alternative avoids the need to bring hot works to site at any point in the future to carry out repairs, reducing the whole life costs and risk for up to a 25 year period, depending on the system used. 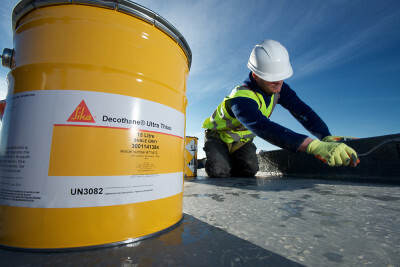 Where damage to the roof requires urgent attention, a cold liquid system applied as an overlay without the need for any strip out offers a fast alternative to bitumen-based systems, while minimising disruption and avoiding all fire risk. A cold-applied liquid system can also provide the ideal solution for upgrading the roof’s thermal performance as a fully cold applied insulated roof build-up. It’s also important to remember that the risk of hot works is not only a health and safety threat to the wellbeing of the contracting team but could also have implications for the building, its owners and its occupiers. Beyond the obvious health and safety risk to the building’s occupants, the damage that even a minor fire can cause from flames, smoke, water and foam is both costly and disruptive. In order to manage safety on site, a contractor using hot works may have to control access into and around the building, which could cause inconvenience or logistical issues for the occupier. They must ensure that equipment is stored securely to avoid improper use out of hours. And if a fire does occur, the implications could be far-reaching. It may necessitate closing parts of the building for refurbishment, causing business interruption issues for the occupier, along with the costs of alternative accommodation, replacing furniture and equipment and rising insurance costs. Indeed, business interruption itself can be costly for the occupier in terms of lost productivity and damage to their reputation if deadlines are missed or service levels cannot be maintained. In commercial buildings, offices may also contain paper documents that cannot be replaced. Traditionally, hot works have been a feature of roofing projects because there was no alternative. With the array of cold applied systems now available from the likes of ourselves, it’s time to think differently about the safest way to deliver a roofing scheme.